Posted in: Public Outreach. Tagged: lunar eclipse. Total lunar eclipse on 2015 Sep 27. From wikipedia. As a follow-on to our spectacular total solar eclipse last August, North America will be treated to a total lunar eclipse early on Wednesday (Jan 31) morning. The eclipse will start about 5:51am MST and will end just after 7a. No special equipment needed to observe the eclipse. If you can see the Moon, you’ll be able to see the eclipse. A lunar eclipse occurs when the Moon passes through the Earth’s shadow (as opposed to a solar eclipse, when the Earth passes through the Moon’s shadow). Because red light from the Sun is refracted around the Earth by the atmosphere, during eclipse the Moon can appear murky red (similar to why sunsets appear red). In fact, Wednesday’s eclipse is triply special — not only will the Moon pass through Earth’s shadow. It will also pass near perigee (the closest point in its orbit to the Earth), making the Moon appear especially large and bright in the sky (about 14% larger and 30% brighter). It will also be the second full moon in the month of January, making it an unofficial blue moon. 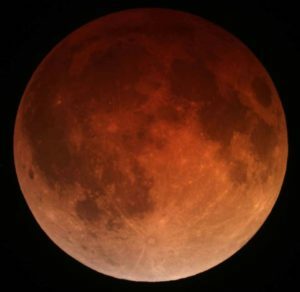 These three celestial events aren’t all that rare individually — lunar eclipses happen roughly every six months, supermoons happen every few months, and blue moons happen every two to three years. The confluence of all three is also not all that rare — the last time was in Dec 1982. So while Wednesday’s sky show may be impressive, it will not be the harbinger of doom claimed by some false prophets. For Boise, though, another more mundane event may spell doom — we’re slated for clouds that morning, and no sky = no eclipse. 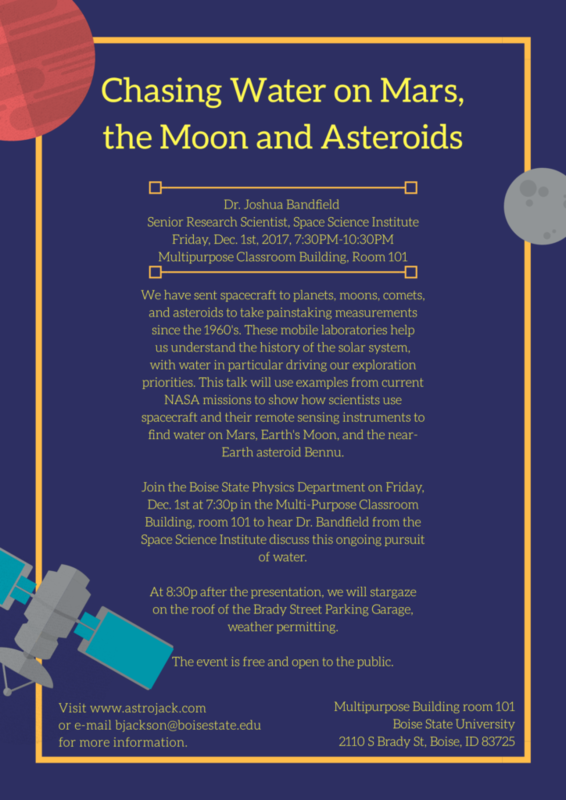 Posted in: Public Outreach. Tagged: high school visit, lunar eclipse.